A river runs through young Manny Maldonado Jr.’s life, heart and imagination. Sometimes at night it even shoots through his brain like a bullet. But this river isn’t water, it’s iron―the tracks and trains of the Southern Pacific railroad that pass along his tight-knit neighborhood in the San Gabriel valley just ten miles east of L.A. 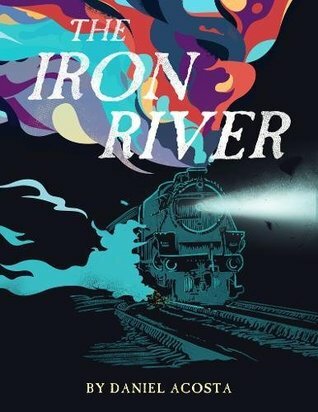 The iron river is everything to Man-on-Fire, Man for short to his friends, Little Man to his uncles and cousins. He watches it, he waits for it, he plays nears its tracks, he listens for the weight of its currents (strong currents flowing east pulling two hundred boxcars, light current going west with less than fifty cars), he whiles away long summer days throwing rocks and bricks at it with his friends Danny, Marco and Little. They line up cans and bottles in mock battles to try to throw it off track. But nothing derails the iron river, and nothing stops the stinking cop Turk from trying to pin a hobo’s murder on the four young boys.